Awesome Sport Banners is uniquely different. Unlike other photography companies that do a shoot and then offer their prints for purchase to you as they were shot. We are in the IMAGE business. We build Sport Hero's. In order to do this transition to Awesome we typically need to shoot a new picture of the Player. Q How do we get the pictures taken and is anything special in the process ? 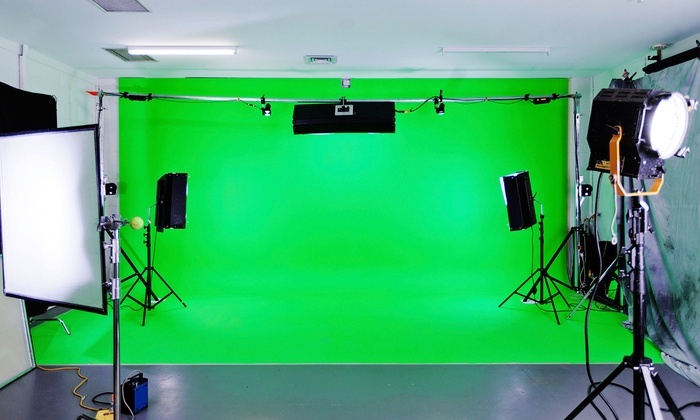 A Typically photos are shot on a green screen so that we can remove the player from the background. Awesome Sport Banners do the photo shoot for Schools and Teams in the area at no charge as part of the packages that we are working on. We shoot 8 -10 shots of each player to be able to place them in a team picture build out and have the ability to have optional placements. Q Do you have to shoot the players on a green screen ? Q What about using an action shot over a staged photo shoot picture ? A Action Shots can always be used in Awesome Sport Banners. There are specific templates that we use that will produce a better poster in the end with action shots. Take a look at the templates and choose the one that best fits your needs and desires. Action shots are typically a single person use and not well suited for team type pictures. You will also need to allow for a different photo shoot if you are planning to use action shots. Q Is there a charge "$" for the photo shoot ? A No Awesome Sport Banners shoots the photos of the players at no charge as part of the sport packages. There is a area limit based on the miles from our Utah County headquarters. If the distance is outside our area we can charge you for the miles or it can be based on a banner package commitment. Q DO you have to shoot the pictures or can others ? A This is a great question and there are many answers. No of course we do not need to shoot the pictures. Anyone can shoot them as long as they get a picture that we can use in the proper pose and high image quality. We can show you how to do the shoot and get the photo. Typically however outside expenses are greater than us doing the shoot for you. *Please see the question answer following below. Q We already have a photographer can they shoot the pictures ? A Yes and NO First we are not a traditional photography company, we are HERO Builders and unlike other companies, of course we think we are the best. Thus we offer the same as the answer above, *YES they can shoot the pictures but there are conditions to that process. We have refined a select set of poses that we need to be able to make the Awesome team photos with and the Awesome single player pictures as well. While we are not here to replace your photographer that takes your regular pictures. We have labs available that offer the unique high-tech offering that is not done by others. Awesome Sport Banners shoots your team at no charge. The fact is that we are specialists and provide a special product and look. If you choose to use your own photographer because of contracts or other restrictions you will need to make sure that you get all of the poses that are needed and they must release the photos to us for the lab work. *If there is any type of fee for the shoot you will need to take care of that with them. Additionally there is an additional charge for the license of the templates when an outside photographer is used, this will need to be considered and will also need to be paid. This is for your template purchase and license of your specific project. Additionally there are fees to the lab for the actual project creation of each player and then the printing fees. Q About your photo ? A Unlike most companies Awesome Sport Banners will allow for the purchase of a JPEG copy of your final banner that you ordered. This file is for your small 5 x 7, 4 x 5 and wallet prints. Awesome final product files are only available after you have purchased your banners.